The reactions on social media ranged from: Who is Denynia? What is happening? Say what? 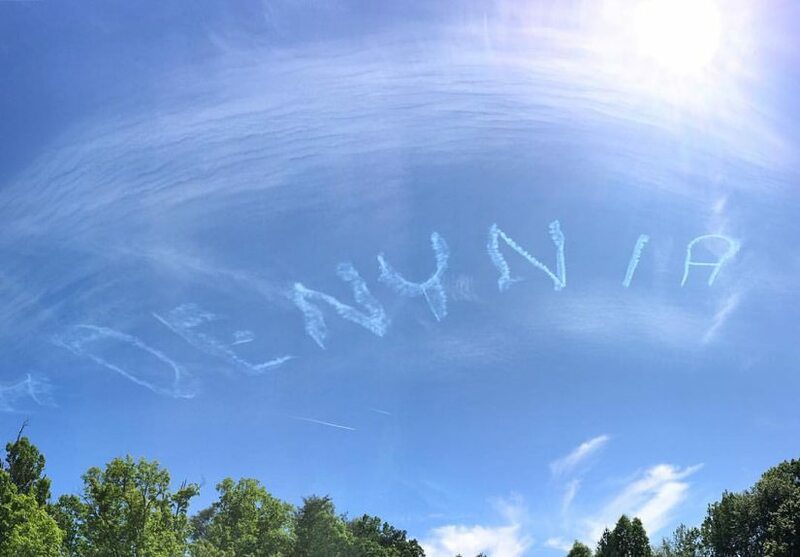 As Reston Now reported yesterday, it is part of a campaign by the Herndon-based Air Line Pilots Association against allowing Norwegian Airlines (NAI) to operate in the United States. The ALPA says that on April 15, the Department of Transportation (DOT) tentatively approved Norwegian Air International’s (NAI) request for a foreign air carrier permit to allow it to operate flights to the United States. 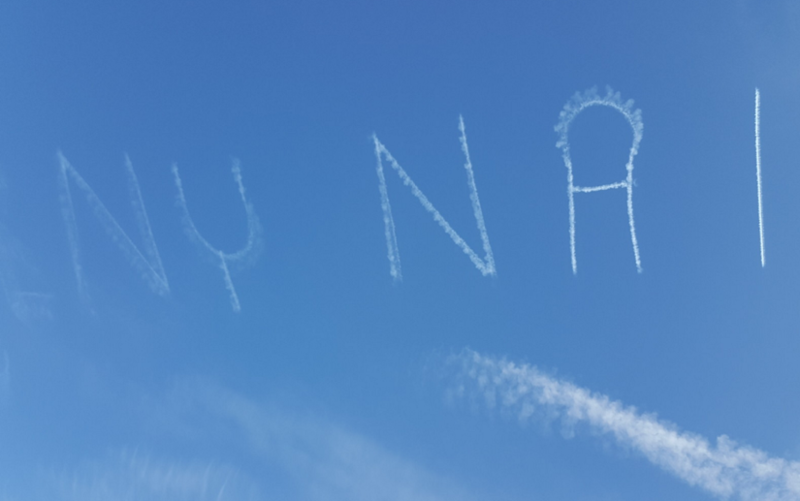 The association got many calls about the typo in the sky, and at about 5 p.m. the skywriting pilot took another pass with the correct message.